This pie was eaten as part of the Pierateers #Pieathon Pie Pledge to see who could go the longest eating only pie! 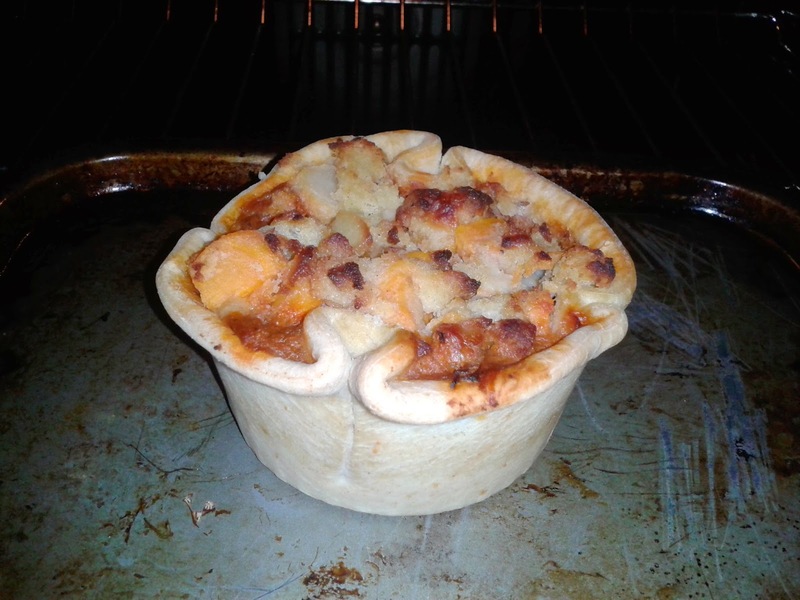 This was eaten on Day One of British Pie Week 2015. 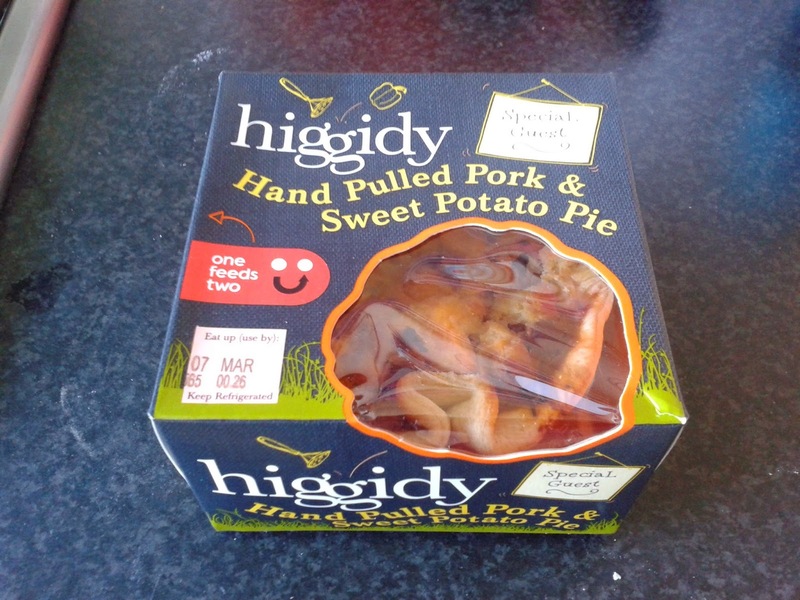 Here we have a Higgidy OPEN TOP Pulled Pork pie. Controversial to start British Pie Week with a review of what is technically not a pie by our own definition! However, Higgidy have been good to us, sending vouchers for our 200th pie review back in the day. They also sent vouchers for our #Pie4EveryMeal challenge last year but they arrived too late, so I thought I owed them a review this year. To be honest, I hadn't realised it was open top when I bought it and was a bit saddened when I got it out of the box! My own fault though, it was clearly visible. Then I had a brain wave, there was nothing to stop me from adding my own pastry lid! Hey presto, a proper pie! This pie worked really well as part of the Pie-a-thon #PiePledge that RAS and myself are attempting. 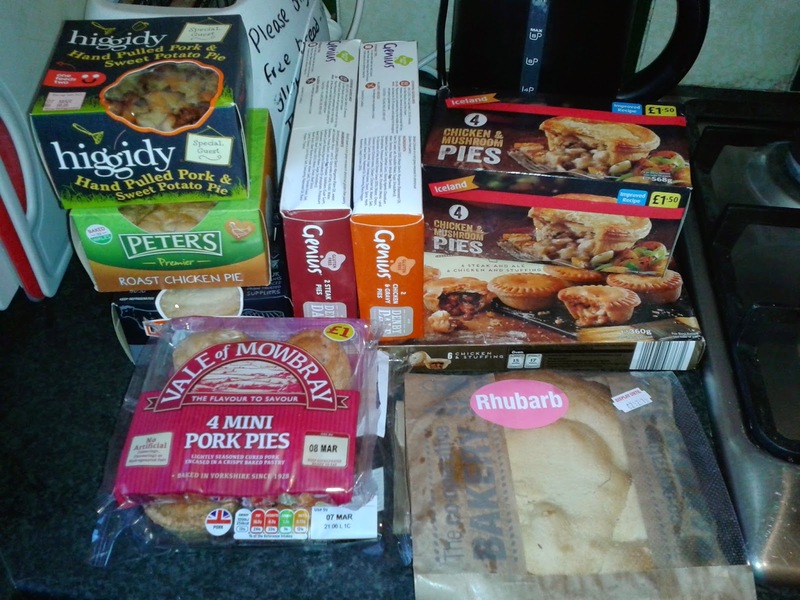 The flavour was original and added a bit of variety to the excessive pie consumption. The flavours of the filling were delicious. Colour - 5.0 out of 7 - A range of colours to the filling which is nice to see. The pastry was a good colour. Cheapness - 4.0 out of 7 - This was on offer for £3 in Sainsbury's. About £3.50 normally. This is about the going rate for an up market pie of this size from a supermarket. Capacity - 4.8 out of 7 - The open top means that you can straight away see that there is plenty of filling. But I genuinely felt that without the additional pastry lid, there would not have been the right pastry to filling ratio. Chewiness - 5.9 out of 7 - Brilliant texture, the pork was soft but had enough bite to get your teeth into. The sweet potato and other veg wasn't mushy although I perhaps felt the sweet potato was a bit too hard. The pastry was nice and crunchy. Content - 6.0 out of 7 - Strands of pulled pork in a slightly sweet and slightly spicy filling. It had a bit of kick but not too much. The bits of pepper added some variety. 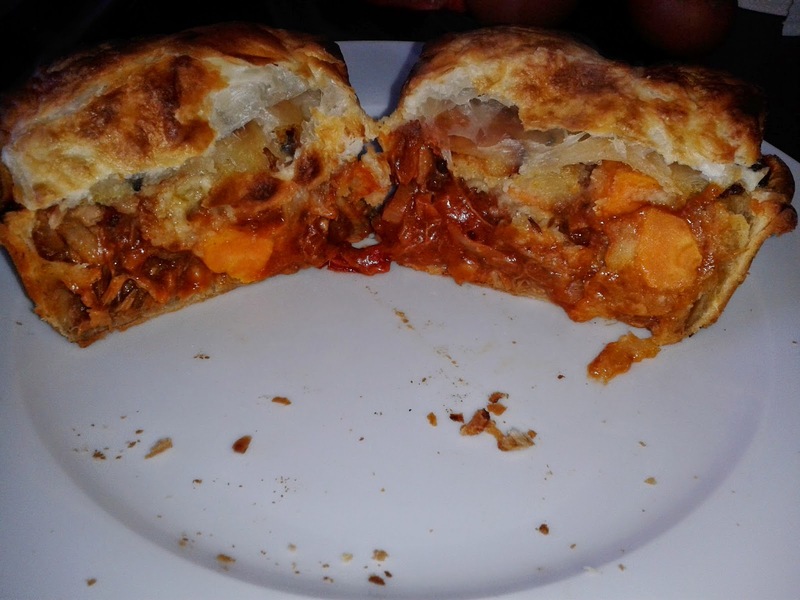 The meat was delicious and the flavours worked well with the shortcrust pastry. Consistency - 4.5 out of 7 - It could never score really highly, not having a lid, but if you feel like adding your own you will get the full pie experience and a really great tasting pie! With the additional pastry lid it looked good and worked really well!